Billed as the world’s top event for animal production, EuroTier was held this past week in Hanover, Germany. 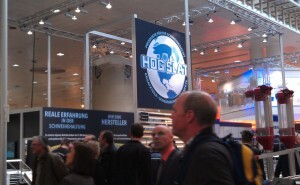 Producers from across the world attend EuroTier and for many it was their first exposure to American style production equipment as exhibited by Hog Slat. I gotta to tell you, it is amazing. EuroTier bills itself as the largest animal production trade show in the world. Held every two years in Hanover, Germany the show draws over 150,000 visitors from across the globe with 2400 exhibitors from over 50 countries. The answers varied, but they all had one common factor….SowMAX. 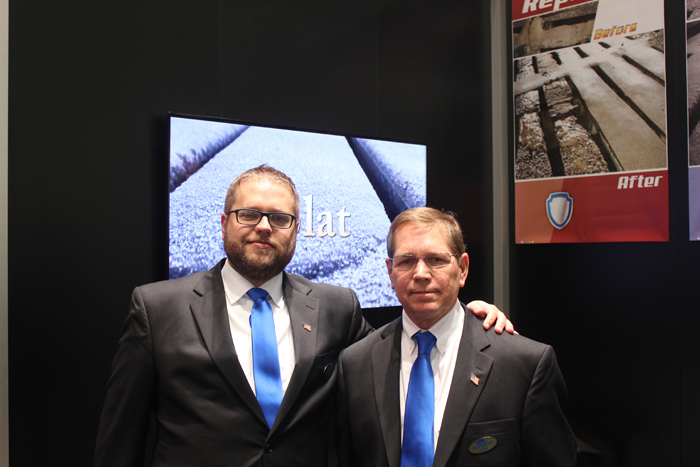 Joining Hog Slat in our booth this year at EuroTier was Paul Vanberg and his son Matt from Vanberg Specialized Coatings. Vanberg Coatings products are recognized in the U.S. industry as the premier repair and protection products for both concrete and metal. I have been around Hog Slat for some 22 years now. In my opinion, one of Hog Slat’s biggest strengths comes from the company’s ability to take its proven equipment designs and adapt to local production methods.